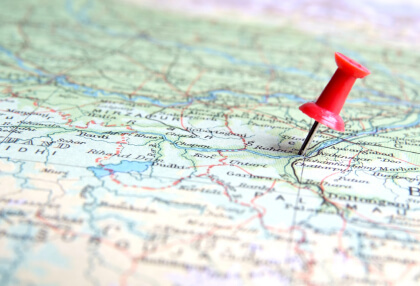 For multi-unit franchise organizations, deciding just where to put their next location for a store, restaurant or service center can be a daunting task. This assertion should especially ring true for organizations that have 20, 50, 100 or more operational locations under their belt and yet they still do not know why some locations turn out to be superstars while others are dogs. How we can better differentiate between the superstars and the dogs at the site selection stage? There are many ways to approach site selection for new store locations. Every company who makes these decisions in-house has its own, home-grown methodology that makes logical sense and that is certainly founded in rational thought. However, in practice the models are sometimes highly predictive of store success, while other times they fall short. At MindEcology, our experience in helping clients in multiple industries to select ideal locations for their ongoing expansion efforts has given us a deep understanding of what makes some locations more successful than others. In our experience, about 75-80% of store’s future success is relative to “who lives there” (in the surrounding neighborhood). Thus, our modeling process focuses heavily on those factors. Around here, we often repeat the mantra “Trust the data.” Data-driven site selection techniques will trump the bounded rationality and inherent judgment bias of even the smartest of us humans any day. Trust the data and you can be confident that you have chosen well.